Very high in antioxidants, and is used as a liver tonic in traditional Chinese medicine. The root bark can also be used as a natural red/ yellow dye. 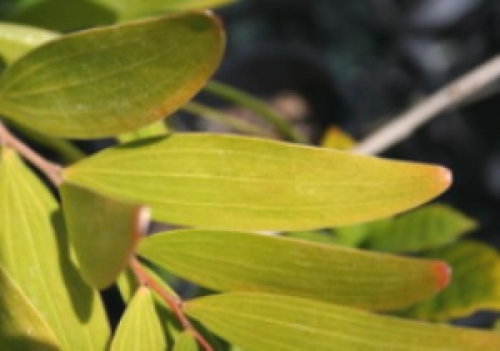 Common names: Acacia Petit Feuille; Small Philippine Acacia; Formosa Acacia; Formosan Koa.